Envision is set for new features and improvements off the back of our team’s participation in EIC Activities’ Innovation and Collaboration workshop last week. The two-day ‘hackathon’ involved client-side organisations including EIC Activities, CPB Contractors, CIMIC Group, Sedgman and Amec Foster Wheeler alongside technology leaders JESIi, ArcGIS, iConstruct and the Envision team – focused on areas such as design and BIM, GIS, equipment tracking and progress management. The event was designed to showcase and create innovative technical solutions to improve the delivery of large scale construction projects. Based around a hypothetical project scenario, we were all able to use rapid prototyping to test ideas for potential future deployment. For Envision’s role in the initiative, we established a dummy project setup with a schedule, blank tag registers representing rules of credit, people (including resources, supervision and staff) and sample template reports. Working with complementary technology providers was a great opportunity to explore ideas that will better connect all of our systems and make them work together more seamlessly to solve problems. Using GIS spatial location data to filter Activities and Events. 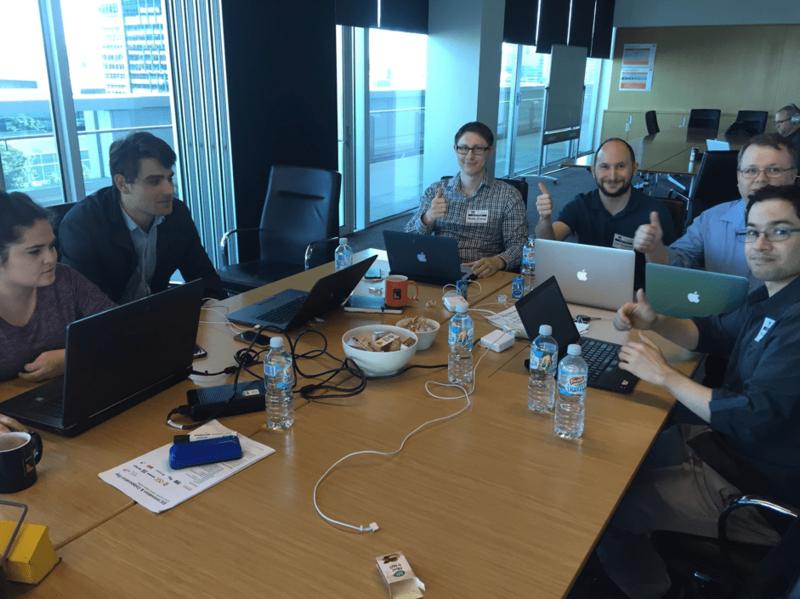 In April 2015, Ennova hosted a Hackathon with Leighton Contractors, QGC, iConstruct, TracBase and iCURO to explore new innovations that would enable seamless integration between applications and a much better experience for projects through automation. As a group, by improving integration and information flow between applications, we can give project teams the benefit of far greater simplicity, speed and accessibility on a day-to-day basis. During the Hackathon, we looked at a number of proof-of-concept projects. Some of these have already been developed and released while others are planned for future release through our ongoing roadmap.